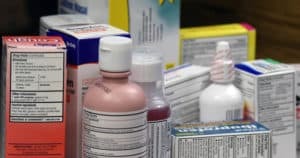 It is appalling how few people in the United States (and beyond) have a fully stocked first aid kit or nevertheless know how to use the items in it! According to a survey from Adelphi University, 44% of Americans don’t have a first aid kit. The checklist is divided up by how the items are used. You may need to adjust the content lists of each category to fit your needs. However, make sure that you have all core items from each category so you are prepared for all types of injuries. More detail on the items is provided after the checklist. Click the checklist to get a printable version of it! 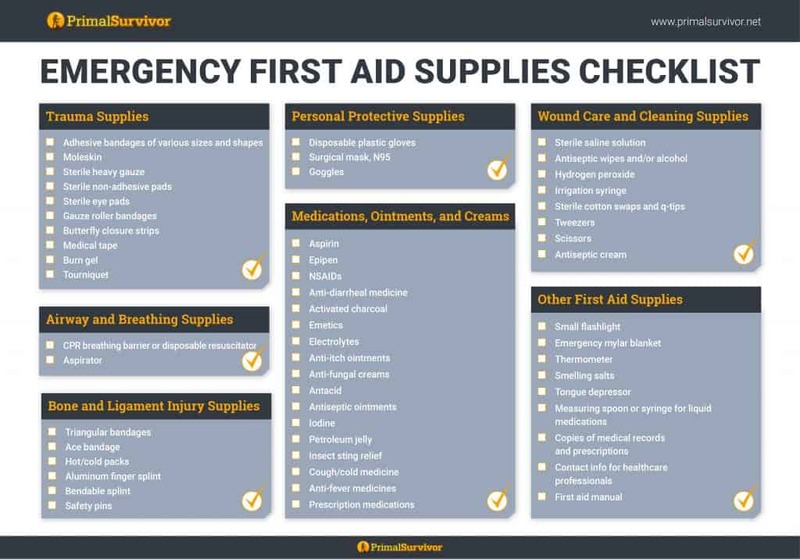 Before giving you the checklist of first aid supplies, I want to make sure you understand the types of first aid supplies you need. 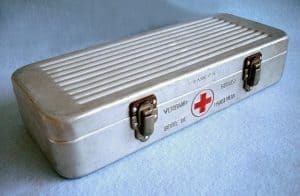 This will help you when stocking your first aid kit. It will also help you organize the first aid supplies so they are easy to access based on emergency type. These are the supplies you use to treat wounds, such as cuts, scrapes, and burns. Items for cleaning wounds are listed in the next section. If a bone breaks, you will be heading to the emergency room. But you still need to have some first aid supplies to make sure the injury doesn’t move around while in route. Also stock your first aid kit with supplies for ligament injuries like sprained ankles. 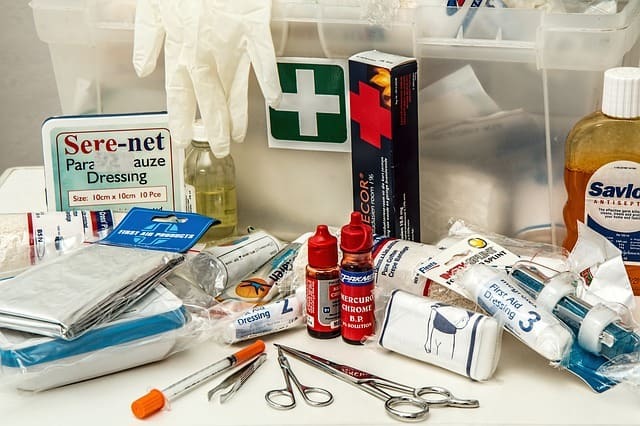 In addition to having a well-stocked first aid kit, you also must have certain information readily available for a medical emergency. 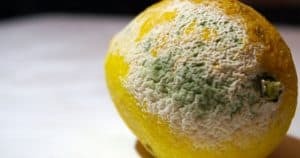 Do NOT store this information in your phone or computer. What if the power goes out? What if your phone breaks? You must have a paper copy as a backup. In my article about vital survival documents, I talk about which documents you need to have ready for an emergency. The article also talks about how and where to store these documents. Learn How to Use Your First Aid Supplies! Having these first aid supplies on hand aren’t going to help you if you don’t know how to use them properly. I highly recommend signing up for a first aid course. And (this is important!) you should re-take the first aid course every few years. Otherwise, you will probably forget how to do basic first aid like CPR and the Heimlich maneuver. By regularly brushing up on your first aid skills, you will feel comfortable when an emergency occurs. Please don’t rely on someone else (like the paramedics) to administer first aid during an emergency. A study performed by USA Today found that many EMS systems (paramedics) don’t arrive on scene for more than 25 minutes after the 9/11 call. They looked at just cases of cardiac arrest and estimated that more than 1,000 “saveable” lives are lost each year simply because paramedics aren’t able to arrive on time. If the family members or friends of those having a sudden cardiac arrest knew CPR, then the survival rate would drastically increase. Consider that 88% of cardiac arrests occur at home, but 70% of people “feel helpless” during a cardiac arrest because they don’t know how to perform CPR. And this is just for CPR. If we calculate the percentage of people who feel ready to administer all types of first aid like trauma treatment, then the numbers dwindle. You don’t want to lose a family member simply because you didn’t prepare! Sign up for a first aid course now! You can find a first aid course here through the Red Cross. There also may be many free first aid courses in your local area. Have you taken a first aid course? Let us know in the comments or join the discussion on Facebook. Great point Martin – thats why we always emphasize good first aid training in addition to building up supplies. What is the best and inexpensive type bag to store these items in ? Hi Tony, any reasonably sturdy ziplock bag will do the job. I like to use small plastic containers for small items like bandages tweezers ext. Snapware “snap ‘n stack” containers work great and can be found at most craft stores. 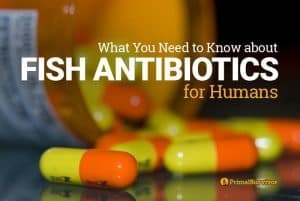 I don’t see a suture kit on here. Why? I’m curious because the tourniquet is on the list but an injury requiring stitches is far more likely. Thanks! I thought about that. But, realistically, most people don’t know how to suture and would probably cause more harm than good. If someone was actually trained in suturing, I’d say to bring a kit. Otherwise, butterfly bandages can work as alternatives to sutures in many cases. We’ve got a post on closing wounds with butterfly bandages here – https://www.primalsurvivor.net/butterfly-bandages/ Thanks for your great question!